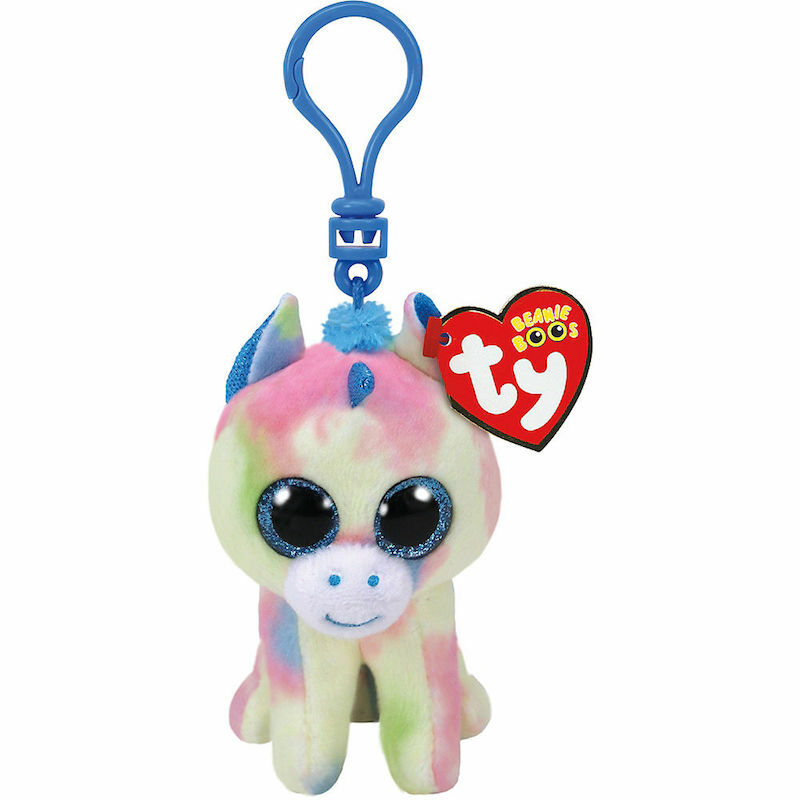 Blitz is a pastille coloured, tie-dyed unicorn with large, sparkly blue eyes. Her nose is white with a blue embroidered mouth and nostrils. The inside of her ears, her hooves and her tiny horn are shiny bright blue and she has a tuft of blue fluff on the tip of her tail. She hangs from a key clip. There are four different versions of Blitz. This is the key clip version. A small 6″ Beanie Boo, a medium 9″ Beanie Boo Buddy and an extra large 12″ variation also exist.